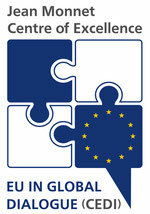 Working Papers - eu-global-dialogues Webseite! The CEDI Working Paper Series offers a forum for analysis, commentary and debate on contemporary European politics. Experienced as well as early career researchers and students from different academic disciplines publish first outcomes of CEDI research activities, conference and workshop proceedings, as well as international and national conference papers of CEDI team members. The papers are published in a Joint Working Paper Series with the Mainz Papers on International and European Politics (MPIEP). The European Union (EU) aims to develop “special relations” with the eastern and southern neighbourhood of the enlarged EU. What exactly these privileged and special relations entail is still not clear, and the tailored Action Plans do little to clarify this point. Almost fourteen years after launching the European Neighbourhood Policy (ENP), it is time to take stock of the relations between the EU and its target countries. “One size fits all” is old news. Focusing on the eastern dimension of the ENP, this paper examines Germany’s internal media perception of individual EU relations with the “near” neighbours of the Eastern Partnership (EaP). The key questions of this paper are the following: How are the relations between the EU and the eastern EaP countries, Belarus, the Republic of Moldova and Ukraine, framed and communicated by leading German press outlets and what do these frames and images mean for the EU’s outlook towards the eastern neighbours? Following a constructivist approach to Foreign Policy Analysis, our paper posits that the EU’s leadership capacity is not only determined by the EU itself, but crucially depends on external actors’ perceptions of the EU. Brexit is likely to have altered these perceptions and has thus restricted the range of motion for EU external action. This paper investigates the perception of Brexit and the “newEU-27” among the present US administration of Donald Trump by analysing remarks of the president himself as well as commentaries commissioned by the Heritage Foundation, a think tank ideologically close to the President. It finds that Brexit is understood as a confirmation of a realistic worldview that prefers national sovereignty to cooperation and sees the EU as a competitor in a zero-sum game. If it is true that Champions League finals are more prominent in the minds of Europeans than constitutional patriotism towards the EU Treaties, such unconscious identity work through lifeworldly activities becomes politically relevant. It may reach the stage of a political myth when actors refer to such presumed CL-effects on Europeanised mind-sets and deliberately enhance their importance. In doing so, they may either seek to push a European agenda or to legitimise commercial interests with reference to "the European idea". Wittingly or not, however, they contribute to the very narrative of the Champions League as a generator of European(ised) mind sets. Countervailing forces which are to undermine this very political myth of the CL include, e.g., the growing criticism of (over-)commercialised football or the League’s presumed negative effects on the integrity of "true football". Against the idea of an ongoing Europeanisation of football, most recent data on football fandom throughout Europe and our own emerging research into identity effects of football fandom, we discuss the role of the UEFA Champions League as a generator of Europeanised experiences, frameworks and communities in this paper. In doing so, we are specifically interested in ascertaining whether there is a politically relevant identity-formation under way due to increased awareness of, exposure to and familiarity with European-level competition of top football Clubs. ABSTRACT: Almost three years after the Euromaidan protests in 2013-2014, the circumstances in East Ukraine seem to be burdened by a frozen conflict. Russia is still holding on to the story that the annexation of Crimea was a “free referendum” of Ukrainian people expressing their desire to belong territorially to Russia. Unsolved conflicts and the future architecture of relations between Russia, Ukraine and the EU need to be redefined and remain a key strategic challenge for the EU. “A consistent and united approach must remain the cornerstone of EU policy towards Russia” (EEAS 2016). As suggested by the EU Global Strategy, to develop a dialogue-led, two-way interaction between equal partners is recognised as promising and, on the other hand, strenuous. The elites within the EU as well as the media should perceive the deficits in their own behaviour and develop new strategies on the ground. This paper presents a media perception study. The central question of this research is how Ukraine and the EU are perceived in Russian media. Three leading Russian newspapers (Rossiyskaya Gazeta, Kommersant, Komsomolskaya Pravda) have been selected to analyse the Russian media perception. The study coded over 500 articles that were published in May, September and October 2015. ABSTRACT: The paper explores factors behind the critique of the UK as being perfidious and awkward. It examines Britain’s core beliefs of being a global rather than merely a European power, of having a special relationship with the United States, of being internationalist in terms of trade and, somewhat paradoxically, of taking pride in being pragmatic. These beliefs have led to the rejection of blueprints for integration and a preference for bilateral cooperation rather than multilateral relationships. Post-BREXIT Britain will be confronted with potential dilemmas if the Franco-German tandem leads to closer cooperation on security and defence within the European Union and in cooperation with NATO, especially given an unpredictable United States under President Trump. These dilemmas and Britain’s preoccupation with the consequences of BEXIT suggest that it will have minimal influence on Europe’s future. ABSTRACT:The new governance mechanisms of the European energy policy proposed by the European Commission in its “Winter Package” will contribute to a redefinition of the European energy and climate governance. This contribution reviews the proposal, its supporting documents and overall stakeholder positions along the criteria of governance efficiency, effectiveness and acceptance in order to assess its ability to support the European energy and climate goals. We find that the proposed governance sums up to a densely-meshed coordination of policies between the European level and Member States. Compared to the present governance, the enhanced mechanism can draw on significant synergies and reduce administrative costs. Our review of stakeholder positions shows a solid acceptance for enhanced coordination. Nonetheless our review identifies some potential flaws in terms of governance effectiveness: With unspecific or not further nationally attributed targets for 2030, the underlying governance structure can get blurred easily. Second, the proposal foresees in some cases direct corrective action of the European level, in the case Member States lag ambition. This surpasses the method of open coordination or could be seen as a case of “harder” soft governance which at the same time conflicts with article 194(2) TFEU (right of Member States to determine their national energy mix). Finally, the local level is left out. The proposal misses to link to on-going local actions like the Sustainable Energy and Climate Action Plans (SECPs) to the overall governance structure. ABSTRACT: The working paper addresses the significance, reality and boundaries of solidarity in the European multi-level system. It analyses the requirements for solidarity and the role that solidarity plays in European multi-level governance. We present an effort to conceptualize solidarity in the European multi-level system and to develop a typology of different forms of solidarity. The working paper focuses on the type of intergovernmental solidarity between member states and explores possible boundaries for solidary acts.We illustrate our theoretical and conceptual considerations with insights from two different EU policy fields: energy and migration policy. Both policy fields are characterized by a fundamental lack of solidary actions and thus give some indications for possible boundaries of European solidarity. ABSTRACT: With the »Concept on Strengthening EU Mediation and Dialogue Capacities« adopted in 2009, the EU aims to further develop its capabilities in the field of peace mediation, building also on various mediation experiences made by EU institutions and actors in different conflict regions. Yet, the academic literature has not paid much attention to the EU’s involvement in mediation or mediation support activities. To develop a better theoretical and empirical understanding of EU peace mediation, the Unit of International Politics of the Johannes Gutenberg-Universität Mainz organized a workshop on »The EU as Actor in International Mediation - Theoretical and Empirical Perspectives« which took place in November 2015 in Mainz. The working paper discusses this project in the light of the current research literature and reflects on the results of the presentations and discussions of the workshop. ABSTRACT: In this article, we suggest a novel conceptual framework for understanding and analyzing EU politicisation. Recent studies on EU politicisation argue that the post-Maastricht era led to the politicisation of EU integration via an increasing citizens’ dissatisfaction. Until then, politics had played only a minor role. Contrary to this account, we argue that European integration has been from the beginning a political process, but an unusual one. To capture its uniqueness we introduce the concepts of politisation as a precondition of politicization and of politification as a depoliticised modality of politicisation. Politicisation is then not something new to EU integration but rather it is constitutive of EU integration itself. We further argue that understanding politicisation requires taking a closer look at its relationship to “politics” or “political”, as it is essential to spell out the respective understanding of this key concept – Grundbegriff in Reinhart Koselleck’s sense. The interpretation of what is considered as politicisation depends on the interpretation of what is politics/political. We argue in favour of rethinking the concept of politics and its relationship to politicisation in terms that avoid spatial and functional metaphors. To capture the power dynamics involved in European integration, we aim at an understanding of EU politicisation that is at once more historical and based on an actor-oriented perspective on the political. On this basis we discuss the main conceptual weaknesses of studies on EU politicization and conclude by developing some points of our alternative conception. straightforward. The conflict highlights the clash over the understanding of human rights between the two major political powers on the European continent – the EU and Russia. This article complements quantitative data on human rights violations with qualitative discourse analysis of human rights frames. The highly contentious case of the Russian-speaking minority in Latvia is selected as a test case. Presented analysis shows that the Russian-speaking minority in Latvia is lost in translation – caught between the Latvian notion of non-citizens as a legally justified statelessness and the Russian notion of compatriots, victims of aggressive Western expansion. Neither the Latvian nor the Russian official discourse has recognized the Russianspeaking minority as an autonomous entity; rather for both the minority issue is instrumentalized for domestic and foreign policy reasons - identity is instrumentalized and securitized. The EU, whose hands are tied, is largely absent. The relationship between the actors is polarized and antagonistic, and as the situation of Ukraine shows, has further potential for violence. ABSTRACT: China and the European Union are the world’s largest importers of natural resources, which make both of them highly dependent on other countries. Both are, hence, greatly challenged on the issue of energy and closely interlinked also on climate change, both areas which will demand changes in energy production, consumption patterns etc. These challenges could lead to competition between the two actors in the request for resources. At the same time, such a common situation could entail great potential for a closer cooperation. However despite the latest summit between the two partners, little indicates for such closer cooperation. Thus, the aim of this paper is to understand which mutual perceptions the EU and China have in energy policy. How does the external energy governance of the EU and China function? Which mutual perceptions do both sides hold and which controversies exist?